Normal FedEx rates apply to orders of 11 bottles or less. All orders are shipped via FedEx Ground Delivery. Artisan Orchard Blueberry Cider is a blend of apple cider, pressed from hand selected premium apples, and highbush blueberries grown in Hammonton, New Jersey, the "Blueberry Capital of the World!” The resulting cider displays blueberry pie characteristics with underlying crisp green apple notes. We hope that this Artisan Orchard Blueberry Cider is a home run with friends and family, wherever you choose to play! 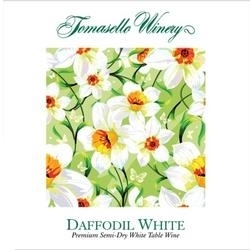 Tomasello Cherry Moscato is a blend of cherry wine made from Michigan Montmorency pie cherries and moscato grapes which combine to create a decadent combination of fruity, tart cherry and honey melon flavors. Daffodil White was made to capture the essence of spring. A premium semi-dry white wine with hints of fruit. It is perfect served chilled with cilantro-laden salsas and as a dinner wine with citrus grilled chicken or shrimp fra diavlo. The grapes used in the production of this wine were 100% Pinot Noir estate grown at the Winery's Flittertown Road Vineyard. The grapes were hand harvested at a point of maturity consistent with reserve quality. The grapes were crushed and fermented in contact with their skins for a period of 10 days with a yeast that promotes forward fresh fruit characteristics. A malo-lactic fermentation was simultaneously initiated. After the completion of fermentation, the wine was transferred to second year American and French oak for a period of one year. Pinot Noir is often called a "white wine masquerading as a red," and is soft and subtle in character. 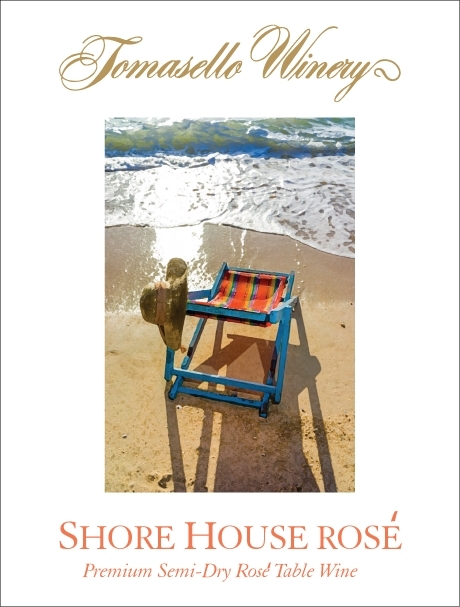 Shore House Rosé is a premium semi-dry rosé wine with pronounced fruit flavor. Perfect chilled with brie and assorted soft cheeses or as a dinner wine with Sea Bass. Shore House Rosé is the essence of summer!